Thank you for visiting IMAM CAP INDUSTRIES. If you have any questions about your order, about a specific or customized Caps, Hats, Bags, T-shirts, Uniforms, File & Folders, Keyrings Etc, with your own branding & logo print, or just want to give us your feedback, suggestion, you can drop me a mail at imamcap@gmail.com or complete online form below. 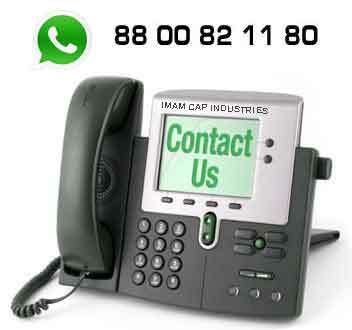 Please feel free to contact us any time anywhere, You can also contact us directly at 88 00 82 11 80 and speak friendly.